Ask almost any author either who has influenced their writing they will probably cite those who wrote the stories of their childhood. Because Science Fiction is a genre of the future and most horror has a contemporary setting it is difficult to pay homage to literary heroes other than inserting references to their work into a tale. However, with the rise of Steampunk, which tends to be set in the Victorian era, there is more opportunity. 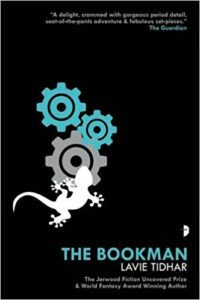 In The Bookman, Lavie Tidhar has grasped the chance to honour not just the masters of the genre but their most iconic characters. 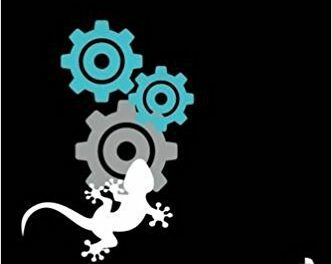 The story begins in a Victorian London where airships, steam carriages and automata are accepted as normal. It isn’t just that steam is in the ascendant here; there are other changes, too. The Royal Family are lizards. Les Lézards have been the ruling class from the end of the Tudor dynasty since they were found on L’Ĭsle Mystérieuse – a place that no-one can find, though it is reputed to be in the Carib Sea. The Prime Minister of England is James Moriarty, Irene Adler is a detective inspector and Lord Byron is a very human seeming simulacrum. Orphan is a young man, a poet, who lives and works in a bookshop. He doesn’t know who his parents were, only that they are dead. One of his friends is Gilgamesh, a blind vagrant who lives under Waterloo Bridge. Orphan often reads to him from newspapers and it is in one of these that he learns that The Bookman is back in town. This mysterious person has a habit of assassinating people with a bomb inside a book. No-one knows where he will strike next. Orphan and his girlfriend, Lucy, soon find out as the final scene of the play they are watching later that evening is interrupted by the actors on stage being blown up by a book bomb. The next victim is Lucy, at the launch of Moriarty’s pet project, a probe to Mars. When Orphan is told that Lucy can be restored to him, he is willing to agree to almost anything. The real launch of the Mars probe will actually be from L’Ĭsle Mystérieuse and is actually a summons to other Lizards to come and invade Earth. It must be stopped, but the only person who will be able to find the island is Jules Verne. Orphan travels to France to meet him and they embark on the clipper Nautilus. It is easy to see that Tidhar had great fun in writing this novel, weaving in references to the writers of the era and their creations. Turning the page it is as much fun for the reader, not knowing who you will come across next. At the same time, there is a serious side to this novel. There is resentment and unrest against the monarchy. The monarchy in France has already been deposed. At the same time there are young people – lizard punks – who show their rebellious side by shaving their heads and painting or tattooing their skin to resemble lizards. The simulacra who walk the streets are treated as an underclass. There is revolution in the air. There are parallels between the political situation then and now. Some authors can be self-indulgent, putting things in their books just because they want to rather than because it is essential for the plot. Those who recognise the trait remove most of the traces. In one place in The Bookman, Tidhar is guilty. Orphan is making his way through Covent Garden and all the shopkeepers and barrow boys are calling out their wares. The problem with the scene is that it is an auditory experience as all the calls will be simultaneous and overlap. When it is written on the page, it can only appear as consecutive. While intended to convey atmosphere it fails because of the limitation of the print medium and comes across instead as indulgence. Later on, Tidhar made a correct decision. After the end of the main story, there is a section relating Orphan’s journey to and through France. On the ferry over he meets Herbert Wells and learns about a convention of fans of the Scientific Romances that is being held in Paris. As it is at the hotel he is staying at, he becomes caught up in it, meeting many authors of the day such as Arthur Machin and M.R. James. August Dupin puts in an appearance after the murder of the simulacrum of E.T.A. Hoffman in the cathedral. 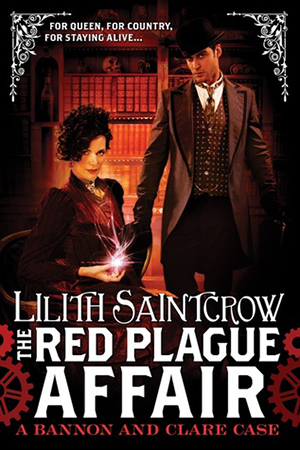 In this section, Tidhar is playing with the characters and the reader and it can almost be regarded as a stand-alone story set in a world where SF conventions began in the Victorian Era. Nevertheless, this is a well-crafted book and part of the enjoyment is picking up the references Tidhar has seeded throughout. Recommended.